Welcome to podcast episode number 16 of the Mobile Alabama Business Podcast with Scot Dorger. My name is Marcus Neto. 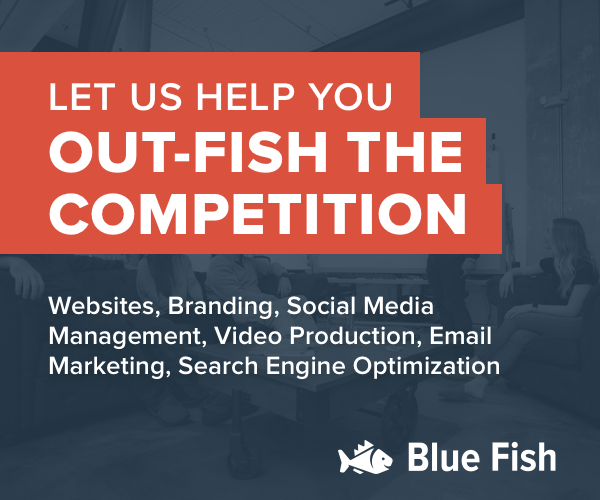 I Blue Fish, a digital marketing and web design based downtown on Dolphin Street in Mobile. I'm the host of Mobile Alabama Business Podcast where we talk to local entrepreneurs and business owners about their businesses and how they got started. I'd like to thank you for spending time with us today. In today's show, I sit down with Scot Dorger. Scot is the owner and lead architect for Dorger Software Architects. They're a leading Microsoft Development shop here in Mobile and provide services to a wide range of clients. Scott and his family just so happened to also be my next door neighbors and our kids play together. But even after putting up with living next door to me, he still agreed to come on the podcast. So let's dive right in with Scott Dorger. Marcus: Today I'm sitting down with my neighbor, Scot Dorger. Scot is the President of Dorger Software Architects, located here in Mobile. Welcome to our podcast, Scot. Scot: Thank you for having me. Marcus. So normally when we get started, we like to know a little bit about the person. Just give us some background information about who you are. So do you have family? Do you have kids? Did you go to school here in the area? Did you grow up here? That kind of thing. Scot: Well, I'm married. My wife is an attorney here in town, Sarah Dorger; she works for Briskman Bunion. We have two kids, Colt and Caden; a boy and a girl, seven and five. I've been in Mobile since college. So we moved over here in '92. I was a military brat, so I've sort of lived all over. I have spent six years in Virginia. I had a stint in Hawaii. It happened to be in Biloxi, when we choose where I was going to go to college, which was (the University of) South Alabama. Marcus: Oh, so you did go to South. Scot: I did. I went to south. You know, and what happens, you meet a girl or you get locked down. Marcus: Next thing you know you're living in Mobile. Scot: And you know, it's not a bad thing. Scot: We've lived all over. I like Mobile as much as any place. And I know you've lived in Northern Virginia, which you experienced a lot of growth. The pace of life here is just a little bit more relaxing. Scot: My dad, he spent 10 years as the CEO of the Tournament of Roses and so that was kind of fun. The Rose Bowl. His last year was Alabama/Texas National Championships. So that was fun. Mind you, it would've been better if LSU was in the game. Marcus: So we know where your alliance is and why. Scot: Well that's where I went to law school. But still, it's been a lot of fun. I do -- we used to get to travel out there periodically, and again, every time I come back it's always "I'm glad to be back." Marcus: Yeah, and breathe a sigh of relief when you get off the plane. Well, tell us about Dorger Software Architects. How long have you been in business? What's your unique position? Give us a little bit of background. Scot: Well, we started about, actually just over four years ago. We do, we sort of started in custom software development. We're specialties in dot net. And we've got a nice client-base. We've got five big customers, and then we've go a number of smaller customers that we'll do a little jobs, some jobs for. Marcus: Well, there's a cap. Literally, if you are basing your earnings on an hourly rate in the services industry, there's a cap on the amount of money that you can earn. And so, we've dealt with this a little bit on ourselves. And in the tech… well, we're both in the tech industry, but in the web development industry, everybody's trying to move to value pricing because the idea is that you're not just paying for the amount of time that it takes for something but you're also paying for all the education that we've paid for or you're paying for the thinking that we do off hours, you're paying for your creativity of being able to come up with ideas outside of that. I'll admit, as an agency, we have not being able to kind of fully move down that path because there's still resistance I think in the customer base, like "What's the hourly rate on this?" Well, it's like it doesn't really matter. You asked us to do a job. As long as we get you the results that you're looking for and as long as you're earning more on the investment than what we're costing, because that's really the idea right. Scot: Well, you know, we're even looking more at doing custom software as a service, if you will. We've got some frameworks and toolsets that would allow me to go into a business and say, "Hey, I'm going to put up a database system that's customized to what your business is. But now you're going to subscribe to it on a services basis. We're going to host it. We'll develop it for a very low entry cost. Something much cheaper than you would typically be able to get into if you were buying the software. We're going to host it on our servers in the cloud. We're going to hand the backup and maintenance at the database. The disaster recovery, it'd be web-based technologies. But it builds you a subscription. And if you get a number of those, then you start to have residual revenue. Now, you're not worrying about that next big project coming in. And we've been very fortunate and our income has been pretty predictable since we've started. And the approach that I've taken to grow the business, which was always "hey, I'm going to have work for somebody pretty much before I hire them, and that work is going to -- I know I'm going to have work for a year." Because what I don't want to do is ramp up and then have to ramp down. Marcus: And with that cycle that long, it gives you a chance to either know whether that work is going to continue after the initial contract is over or to plan ahead and trying to find additional work that -- yeah. I get it. It's one of the things that I think a lot of people that deal with widgets don't understand is the up and down of the services industry. It just makes -- it makes it very interesting. I've been having a lot of talks lately with other agency owners about what metrics they use to gauge the health of their business. And it's very interesting to me that nobody has solved -- and here's my million dollar idea, right -- Nobody has solved that problem for agency owners. And especially agencies that don't have a team of people that do nothing but crunch numbers. Right? And so, we can talk about that over lunch, because I don't want to give too much information away about that. So, how did you get started in technology? Do you have like an early experience that kind of pushed you in that realm? Marcus: You see how that was shaped? Marcus: That's just part of being a man, I think. Scot: ...Could move through it. Marcus: Our wives aren't listening to this podcast, so we can speak freely, I think. Scot: But it's [only] me for text messages, she'll send me something and then I'll just be like, "Okay.". Send me something else. "Okay." I acknowledge it. Marcus: It's confirmation receipt, right? So, is there an area of your business that you're putting a lot of effort into or are there any areas that you're spending a lot of time focusing on? Scot: Right now we are investing more in this file, the government filing systems. We just stood up a system for the State of Mississippi that does all of their corporation filings. So if you want to form a business, form a LLC, file your annual report, merge your company, all of that stuff is now online with Mississippi. That was a system that we built on top of a system that they already had there. So they had a database management system already in place when we came in. Then we built this later that let them do all of this stuff on top of it. And for a lack of a more creative term, we call that Dorger forms, okay? Because you're filling out a bunch of forms online. We did -- there's some pretty unique things that we did in this implementation. But again, we've got this layer, but right now, it's sitting on top of another system. And so I know, because I just came back from a conference, that there's a number of states that are going to RFP for systems like what we did in Mississippi. So we're putting some effort in building that underlying system right now. So that's my investment. Marcus: As an investment in the company that going again back to that product idea that you'll be able to reuse that code. Yeah, I know that's really cool. Scot: And we're doing something right now, too, that's very similar to the corporation system. We're doing a filing system for the State of Mississippi to allow them to do charities. We've built a system that we think is applicable across many states because it's all based on the URS, which is the Universal Registration Something-something. Marcus: That's the technical term. Scot: Yeah. It's just the form, you know, and a bunch of states have adopted, and we're building this based upon that form. Marcus: So how difficult -- I mean, you said you know a number of states are going to go and have RFPs for that, and for those of you that are listening and they don't speak geek, RFP is Request For Proposal. So basically, when a state agency wants work done, they'll issue an RFP. Or a large business, they'll issue an RFP and then it's your job as the person wanting that business to jump through a bunch of hoops and provide them with the bunch of information in the hopes that they will award you the contract. But you mentioned that you have or you know that a lot of states are going to move in that direction, are there any -- is there anything that you have to do like it registered in those dates or something, or how does that work? Scot: Most of the states have a procurement system now. Yes, we have to register with the states. Some of them require you to actually register as a foreign corporation in those states. Some of them don't. They just require to pay your annual fee with their state procurement system, and then they'll send out the notices. So, you know, when I was at this conference there was a lady going around who was a retiring CIO for one of the Secretaries of State, and she's like "I'm going to each of the vendors and I want you to know that there's RFP coming out for a new filing system, and you need to be watching for that to come out." So when it will come out, we'll have to put some effort into responding to it. And then, the sales cycle begins, which is generally with state governments is reasonably slow. Marcus: Yeah. I can imagine. Scot: Unless they have money allocated and the RFP comes out, then it's okay. But a lot of times, you might demo to a state and their like "Oh, we love this software." Marcus: And you don't hear anything for six months. Scot: And they'd be like "We got to get in the budget." So then they go off and then they -- in the budget, you can't request it until the next budget cycle. A fiscal year later or two years later, you see an RFP that comes out. So a lot -- these things take a while. Marcus: Wow. So as an entrepreneur, what's the one most important thing that you've learned over the years, or you've been doing this for four or five years and you've had quite a bit of experience, what's the take-home for you? Scot: Don't be scared. I mean that's really my one take-away is I don't want to say it's easy because certainly it's not easy. And you spend a lot of time stressing about making payrolls, especially when you're first starting up because banks don't like to lend money to startup companies. Fortunately, we're beyond that now. My stress level's gone a way down. But, you know, I was very risk averse, and I was very comfortable working for other people. So, and really, I probably still would be had my hand not been a little forced. And stars aligned for me to go -- well, it's probably less risky for me to go out of my own at this point than it would be to stay where I was. Marcus: Well, at least as an entrepreneur, as somebody who's calling the shots, you're the one who's calling the shots, right? So you can plan ahead and be smart about it, then oftentimes you can avert disaster, whereas you can’t control somebody else's actions that may get you into a sticky spot. Scot: That's true. But you do have to take risks. And I go back to look at the company that I was with prior to that ultimately ended up financially failing and then getting acquired. But I mean, there were risks that needed to be taken. And as an employee, I could say "Hey, you needed to take those risks." And the owners weren't willing to take those risks. And it sort of let them down the path to where it did. Marcus: So is there a risk you've taken in the last six months? Scot: Yes. I mean, I've taken risks and I've spent a lot of money on some things that have not actually panned out. But I've spent some money on things that have panned out and you got to do that sometimes. Marcus: Yeah. It's interesting to me -- I mean, risks come in many different forms. It's hiring somebody. It's working on a pet project or investing in a platform that you've built out for one client in the hopes that you can parlay that in the other clients. There's a lot of different ways that that appears in an entrepreneurs life. And yeah, your words are kind of speaking to me today because that whole "Don't be afraid, move forward," you know, it's "Use the force, Marcus." Scot: Well, I mean you've taken some risks. I mean, look at MobileAL.com. Scot: I mean that was something you said "Here's an opportunity. I'm going to have to spend some money to do it." And now you're building it up. I mean, that's a risk. You've got an investment in it. Marcus: Yeah. I know it's a very good point because oftentimes, these pet projects just, you know, they're like "Hey, let's do something fun. Let's do something creative for the business community." And then tens of thousands of dollars of man hours later. And it's like, wait a second, what did we do? Scot: You know, I've got some of those going on right now where I'm putting my time in or somebody else's time to it. That I guess there's a financial cost to associate with it, but in some cases it's a lot more when you're actually putting money, you're actually writing checks for it. Marcus: Yeah. It's a little bit more tangible. All right. Are there any books that you've read that have influenced you as a business owner? Scot: I've got to say I don't have a chance to read many business books anymore. I still have some influence from Steven Covey and some of those books, specifically his “Principle Centered Leadership”. I like his concepts. I never really quite got out of the book how to implement it, but -- and I know that I have a series of other books that my dad, as an operations guy, has given me. And I start reading them and they're just so dry. Marcus: I have great aspirations of reading and I'm getting back into the habit. But what I found is for a period of time I would read the first, say, 50 pages or something and go, "Yup. Got it," and then just move on. So I would imagine you were the same. Scot: Yes. You've got to spend some time with them, too. Marcus: What other resources -- because I know books may not be something that you have time to sit down and digest, are there any other resources that you found that are helpful to you as either a technologist or a business owner? Scot: The best resource that we had getting started was a program by Microsoft called The BizSpark. And essentially, what they do for The BizSpark is they give you access to all of their software, all of their development tools for a period of three years. It's a free program. You have to have a certain -- less than a certain number of employees, less than a certain amount of revenue to qualify. You could only have been in business, I mean, less than three years. But that was a very good program because it gave us access to a lot of stuff that I would have had it if to come up with money for otherwise. Now, we're a Microsoft partner. So we have our -- my software developers all maintain Microsoft certifications. I have to go get client -- certain number of client referrals every year, and then I, of course, have to pay a fee to be a partner. But we have similar benefits to The Biz Spark program now. But that partner program has been a good resource for us. You know we're members of the Chamber and I don't nearly do what I should with the Chamber, as far as taking advantage to some stuff. I know that they have a program with the Chamber where they have a business of the month, that one of these days I'll probably take advantage of. Scot: Yeah. I went to the last Gulf Coast Technology mixer that they had and made some good contacts there. Marcus: Very good. So I find that many business owners are really focused on their business but they also have hobbies that allow them to stay balanced. And I know you well enough to know that you have some of those hobbies. So what do you like to do in your free time? Scot: First, I think, it's very important for business owners to try to maintain a work-life balance. And one of the things that I had sort of made myself a promise when we went off and did this was that I was going to participate in my kids' activities, and I was going to be there for both of my kids. So, you know, I've coached a lot of my son's and my daughter's sports teams. I happened to really enjoy doing cross fit right now, and swimming or those. But if I'm not doing, I used to like to play video games, and I still do, but right now, my video game choices are relatively slim because I end up by just playing with my kids. Scot: I can only take so much Mind Craft into area though and I just find in the other time is difficult. Marcus: That's too funny. So give us a look on your -- at an average day, what does that look like for you? Do you get up at a certain time? Do you start by reading? Or do you have coffee? Or do you just get up and go? I know you have young kids, so oftentimes I can imagine, you just probably get up, get them dressed, get them to school, and then, you know, somehow figure out how to get to work. But what is an average day look like for you? Scot: Well, obviously, it depends whether we're talking about the summertime or whether it's fall. But when school's in play, my wife likes to get up early and have coffee by herself and a reader. So her alarm goes off and I'll toss and turn for 30 minutes before I decide to get up. But once I get up and either wake up the kids or go down and prepare meals, she likes to drive them to school so unless there's some conflict where she's going to be downtown early, she'll take them. I usually grab my Red Bull and have my drive now from the Eastern Shore over, you know, probably 7:30 to 8:00 o'clock. Sometimes, depending on what I'm thinking about, I'll either use that time to focus on what I'm going to do in that day or I'll make some phone calls. I've got an employee in New Jersey, so she is on a different time zone; sometimes I call and talk to her early and see what she's got planning for the day. I've got another employee in Pensacola. Same sort of thing, I'm not going to see him in the office, so sometimes I’ll get started by talking to him. You know, I typically get into the office by between 8:30 and 9:00. I typically don't take a lunch. I work through lunch and then I end up leaving a little bit before 4:00, to end up, primarily, missing traffic. Because if you wait much longer, especially in the summertime, you're caught in it. Marcus: That tunnel just backs up like crazy. Scot: But, you know, and then I'll get over and I'll do cross fit at about 4:30, and then deal with my kids' activities. Marcus: Yeah, which start up at about 5:00? Scot: That's right. Well you know, you've got to be at the ball field at 5:30, or swim meets right now -- we're in swim meets season, so swim meets were at Tuesdays. We got to be there by 5:00. Marcus: That's cool. I love watching -- we are literally neighbors. I wasn't using the euphemism when I said that in the intro. And so, I love watching our kids in the backyard playing baseball together and throwing the ball. You know, they make up this weird games that only kids can -- like they were playing the other day where it was like they were playing baseball, but there were allowed to like throw the ball at the person. And they were wiffle balls but they are allowed to throw the ball at the person to get them out because they don't have enough people to actually fill the team. And tell us where people can find you. Scot: My website is dorgersoft.com. My email is scot@dorgersoft.com. Phone numbers are on the website, but 251-281-2001 is our main line. And you can also go to info@dorgersoft.com and that it'll go to a shared mailbox. Somebody would get back with it. Marcus: Awesome. Well, I want to thank you again for coming on the podcast. And to wrap up, any final thoughts or comments you'd like to share? Scot: No, I'm good. This was fun. Marcus: Awesome. Well, I appreciate your willingness to sit with me and share your journey as a business owner and entrepreneur, and it was great talking with you.